The all-American Hummer has significantly risen in popularity over the past few years. These days, it is one of the most popular limos available to hire. It is typically known as a party limousine and you can easily spend the whole night in the limo without getting bored! Whether you’re looking for the perfect hire car for your prom, or you’re searching for a unique wedding car option, our range of stylish and luxurious Hummers could be just what you need. There are three different styles of Hummer to choose from in our fleet. We highly recommend arranging a viewing before you book too so you can see just how extraordinary these models are. First up, we have the classy Pink Hummer which is popular for girly nights out and hen parties. This sensational limousine has been custom built for us in sunny California and boasts a complete pink design, both inside and out! It comes with some pretty incredible features too, making it one of our most extravagant limousines on offer. There is also the white H2 Hummer limo which features a split seat and bar layout. There is a full mirrored ceiling and a kicker sound system. This would be a great limo to hire out if you fancy a night on the town with the lads. It’s also popular for proms and birthday celebrations. It’s larger than the H3 Hummer and comes at an affordable cost. Finally, we have the Silver Double Axle Hummer which comes with concealed colour changing lights, 20-inch chrome wheels and 9 LCD TVs. This is by far one of the most extravagant Hummers available on the market. It will definitely help you to start your party with a bang! All 3 of our Hummer limousines have been custom built for us and guarantee a night you won’t forget. What occasions is the Hummer best suited to? Thanks to its impressive design, the Hummer can be booked for numerous occasions. Proms, weddings, birthdays, business events and anniversaries are just some of the occasions our Hummer limos have been booked for. If you’re looking for a hire car that’s sure to get you noticed and provide you with a memorable experience, the Hummer is the perfect choice. 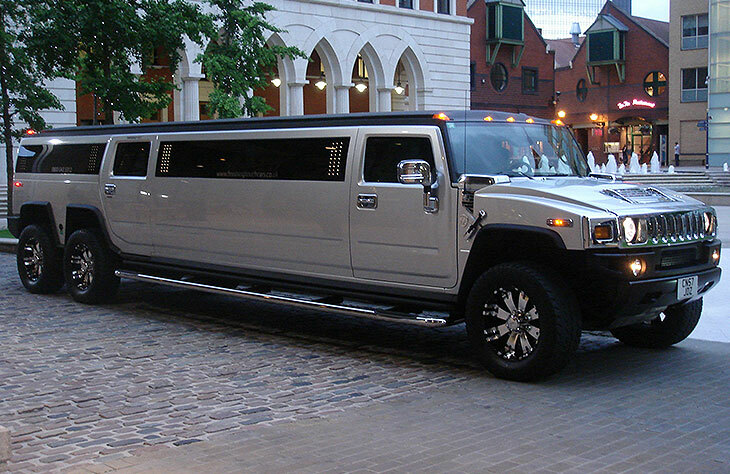 If you are interested in hiring one of our impressive Hummer limousines, we have hire packages to suit all budgets. There are numerous ways to save on your hire price, including booking early, taking advantage of off-peak prices and by utilising our excellent package deals. Contact us today to see what special packages we have available. They change frequently so it’s always worth checking in with us to see which deals are currently running. We can provide additional extras on request and we aim to meet your needs as much as we possibly can. This popular limo isn’t as expensive as you might think. Book today to see just how affordable the Hummer can be. The Hummer has risen in popularity over the past few years. 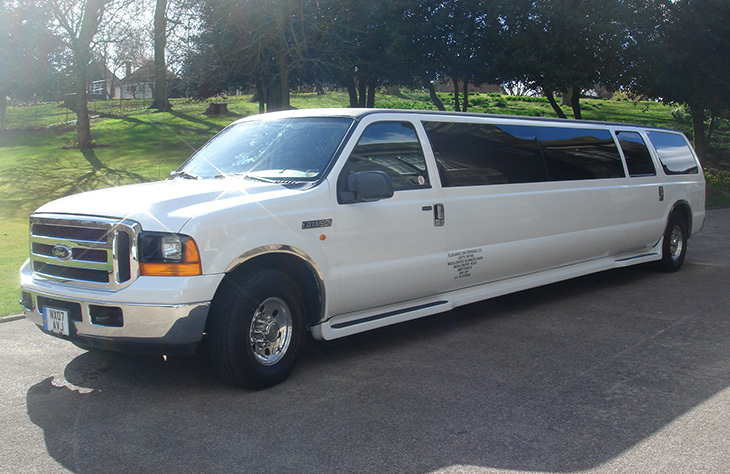 These days it is one of the most popular limos available to hire. It is typically known as a party limousine and you can spend the whole night in the limo without getting bored! There are three different styles of Hummer to choose from. We have the classy pink Hummer which is popular with girly nights out and hen parties. There is also the white H2 Hummer limo which features a split seat and bar layout. There is a full mirrored ceiling and a kicker sound system. This would be a great limo to hire out if you fancy a night on the town with the lads. Finally the Silver Double Axle Hummer comes with concealed colour changing lights, 20 inch chrome wheels and 9 LCD TVs. This is by far one of the most extravagant Hummers available on the market. It will definitely help you to start your party with a bang! Contact us today to see what special packages we have available. We can provide additional extras and we aim to meet your needs as much as we possibly can. This popular limo isn’t as expensive as you might think. Order today to see just how affordable the Hummer can be.